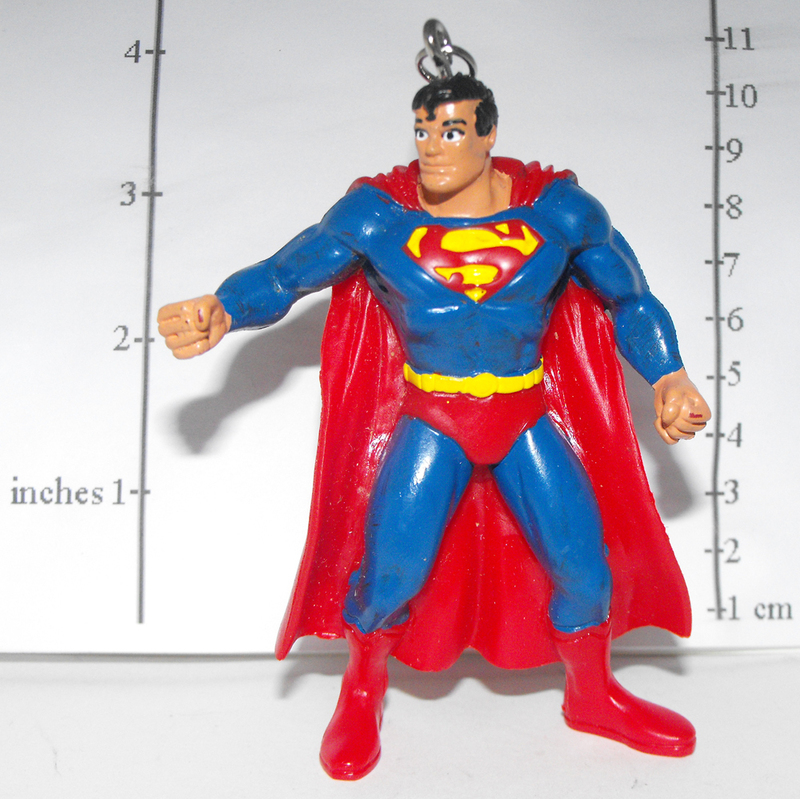 Superman - DC Comics Super Hero Figurine Key Chain, 3 inches tall. The figure is made of plastic and the keychain part is made of metal. Made by Comics Spain.